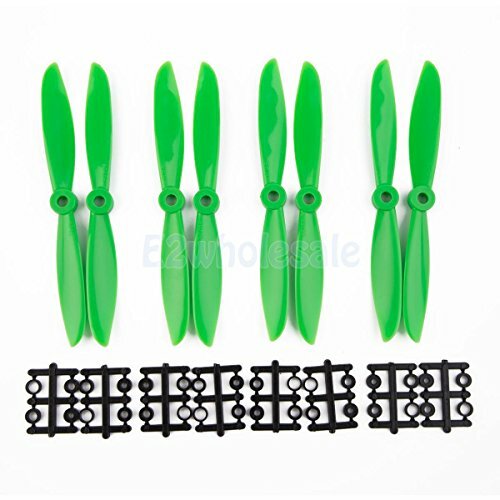 Green 6x4.5'' 6045 ABS Quadcopter Propellers 8 Props 4 Pairs by e2wholesale at Open Drone. Hurry! Limited time offer. Offer valid only while supplies last. Green 6x4.5'' 6045 ABS Quadcopter Propellers 8 Props 4 Pairs SKU: 51_D1000151001158 Description: Propellers have set the gold standard in the small class Multirotor community. Great durability, great balancing and superb hub centering and expendable price. This is the perfect upgrade for any small multirotor. This item is 6045 props, wide use for Mini multirotor.